When is the best time for a San Diego pool remodel? Any Time? You are here: Home / Company Blog / When is the best time for a San Diego pool remodel? The important part of getting your San Diego pool remodeling project done properly along with on time and budget. Always hire licensed pool contractors. If you live in San Diego and have a swimming pool, then you know that the entire summer is going to be spent in the pool. Due to the great temperatures and the outdoor relaxed San Diego living, a swimming pool in your backyard is a great investment. Swimming pools also play a big part in bringing friends and family together. It gives you a great place to gather while the kids swim and the adults relax. A pool is also a great resource that helps parents keep their kids around as they grow up. With all of the great things a swimming pool has to offer, over time, they will need to have maintenance performed on them. This helps keep them looking good and also being safe for the people using it. On a rough average, a swimming pool remodel takes place every ten to twenty years. This time frame is wide because not everyone will perform a San Diego pool remodel the minute it starts to look bad. Others always want the pool in pristine condition and the cosmetic value is very important. If you live in San Diego and your swimming pool is in need of a pool remodel or any pool restoration, we can help. When is the best time to perform a San Diego pool remodeling project? 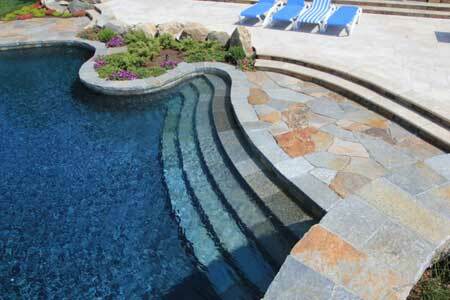 In San Diego, the best time to do a pool remodel is late summer or in the spring. We perform partial and complete pool remodels throughout the entire year in San Diego and these seem to be the best times. There are only few days or situations that prevent us from working. This topic is only giving pool owners a idea of how certain times of year are better than others. Starting your San Diego pool remodeling project in the late summer after the kids have gone back to school. This is a good time due to the rains have yet to start and the temperatures are ideal for the pool finish. The spring is also a good time due to the rains have often stopped and the temperatures then are also mild. The last thing you want is to have a pool plaster or pebble pool finish installed, and have there be a problem down the road. Everything Swimming Pools always looks at all scenarios to ensure that the customer has a properly finished project and we do not have to worry about future pool surface repairs. Performing San Diego pool remodeling projects during the other parts of our year are not so drastic. In the winter as long as there is not to much rain or it is to cold, we can and do pool remodels. The middle of summer is sometimes so hot that the pool surface can dry out if certain conditions and preparations are not taken. We feel like keeping an open communication with our customers allows us to provide them with the best overall product. A lot of people call or Email asking us if it is cheaper in the winter, all the time. 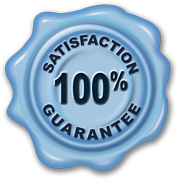 We believe in offering a fair price for the work that we perform and the quality of professionalism that we provide. Our prices are the same one month to the next, and we believe you will find it to be very competitive. You will also find that the customer service is top notch. If you have any questions or would like to schedule a San Diego pool remodeling estimate, we can help. Give us a call or fill out our contact form so we can contact you. Pool tile, pool coping and other additions have no issues in any type of climates. Thanks to the amazing weather, we are lucky to have the ability to provide pool remodeling along with other pool services all year around. There is a large majority of swimming pools in San Diego that can use the pool all year long. They are assisted with having pool solar panels, but they really get to extend the swim season. No matter what the time of year or the weather outside, give us a call if you have any questions or need help with your swimming pool.